To learn how to break the barrier between your marketing and sales departments. 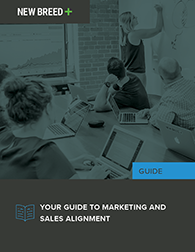 Discover how to unify your marketing and sales departments and create common goals between them. Your team will be stronger as a result and your company will see the effects with a higher return on your marketing investment. To download your whitepaper, fill out the form!